ORANGEBURG, SC—Senior running back Jalen Simmons rushed for a game-high 135-yards on 21 carries to lead South Carolina State to a 34-20 victory over Hampton Saturday (Oct. 31) at Oliver. C. Dawson Stadium. Freshman quarterback Caleb York was 14 of 26 for 172 yards passing and Taquan West caught two touchdown passes for South Carolina State (5-3, 4-1 Mid-Eastern Athletic Conference), which has won three straight. Sophomore quarterback Jerrell Antoine was 17-of-32 passing for 223 yards with two fourth quarter touchdown passes to lead Hampton (4-5, 3-3). He also caught a 19-yard touchdown pass from Twarn Mixon. York had scoring throws of 20 and 39 yards to West in the first half, and a 9-yard touchdown pass to Lynard Jamison to open the third quarter to give the Bulldogs a 21-0 lead. Antonio Hamilton returned a kickoff 89 yards into the end zone, and Tyler kicked a 32-yard field goal to give the Bulldogs a 31-6 lead late in the third quarter. All-MEAC redshirt sophomore Darius Leonard spearheaded the defense with seven(7) tackles , two (2) sacks , two (2) tackles for loss, while senior defensive end Reggie Owens had a career day with six (6) tackles , two sacks (2.0) and 4.5 tackles for loss for 38-yards. All-American defensive lineman Javon Hargrave did not disappoint finishing with six (6) tackles , two (2) sacks and 3.5 tackles for loss for 16-yards. 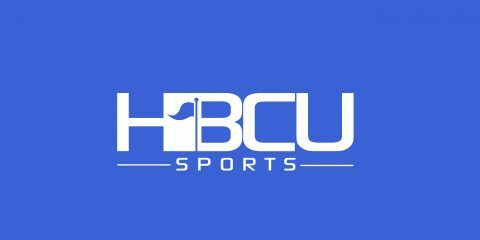 SC State returns to action on Saturday (Nov. 7) against top-ranked N.C. A&T in the battle for the top-seed in the conference lead. The Aggies are undefeated in conference play with a 5-0 MEAC, 7-1 overall record.